Maruti Suzuki Ritz, which had created history by achieving the fastest ever 50,000 sales, added yet another feather in its cap by clocking the fastest ever sales of 100,000 units today in A-2 premium segment. he car which was launched in May 2009 has received an incredible response from the very first day of its launch. At its launch, the Ritz not only created a flutter in the competitive 'A-2 premium' segment, it was immediately hot-listed by the media and industry. Many accolades followed (please see box for details), and the super-car won the Car-of-the-Year in India and abroad, for its path-breaking looks and styling, superior safety features and its ability to balance a dynamic driving experience with a comfortable ride, bold styling and excellent road handling. 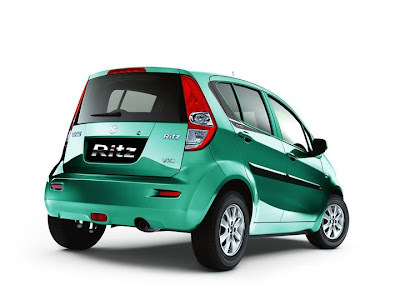 Ritz delivers superb fuel efficiency of 17.7 kmpl in petrol and 21.1 kmpl in diesel. Speaking on the occasion, Mr. Mayank Pareek, Managing Executive Officer (Marketing and Sales), said, “We are overwhelmed by the terrific response given by our customers to the Maruti Suzuki Ritz. The Ritz was targeted at our discerning customers who, while valuing the traditional Maruti Suzuki attributes of fuel efficiency, reliability and performance, also desired contemporary looks and attitude in the vehicle. 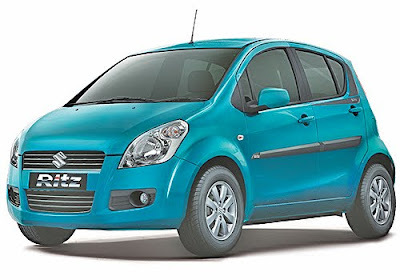 The fastest 1 lakh sales mark is customers’ endorsement to all these attributes Ritz stands for.” The Ritz, developed on the successful Maruti Swift platform and positioned at the premium-end of the compact car market, has been specifically designed for India. Maruti Suzuki engineers worked with the Suzuki design team in Japan to co-design the car and carry out India-specific changes such as superior transmission, improved suspension and better ground clearance. The Ritz was also India’s 1st BS IV complaint car to be launched in the passenger car segment. The Ritz is available in two power train options: 1.2-litre, four-cylinder K Series petrol engine with maximum power of 85 PS and the highly successful 1.3-litre, DDiS diesel unit that delivers a maximum power of 75 PS. The Ritz comes with Drive-by-wire technology in both petrol and diesel variants. This along with the 32-bit Engine Management System provides faster signal processing and quick response. “The Ritz reaffirms our commitment to offer world class products to the Indian market. Since a majority of our customers are young who would prefer nothing but the very best in technology and styling, we would continue to feed the market with world class products” added Mr. Pareek. Maruti Suzuki has also started exporting Ritz to Indonesia.